Anyone planning to make pecan pies this Thanksgiving? 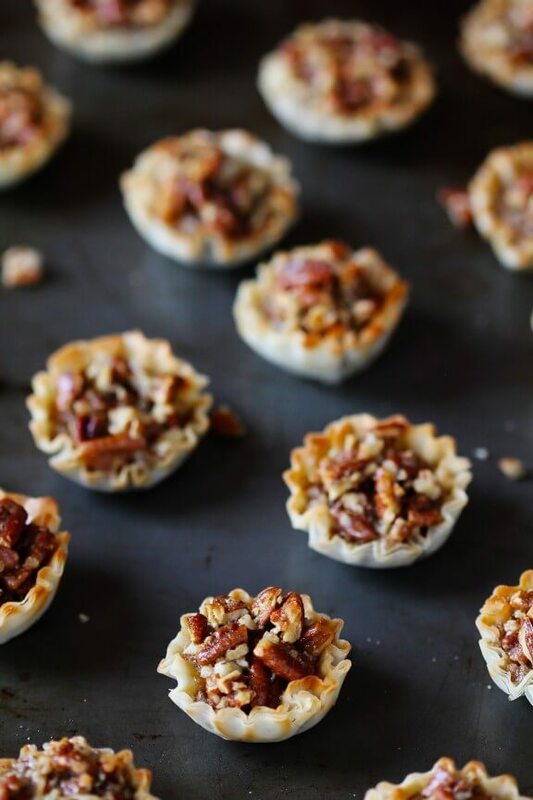 Well if you’re looking to save a bit of time, and still make a total crowd-pleasing dessert, allow me to recommend these adorable little Easy Mini Pecan Tarts! They are everything you love about pecan pie, but when made “bite-sized” with my favorite little phyllo cups, they can literally be made from start to finish in 20 minutes. Boom. And I’m pretty sure they will be the rockstar of your dessert table. There’s something about mini desserts that draws everyone in. And who can resist that classic sweet pecan filling paired with the crisp flaky brilliance of phyllo?! I’m pretty sure they were a match made in heaven. 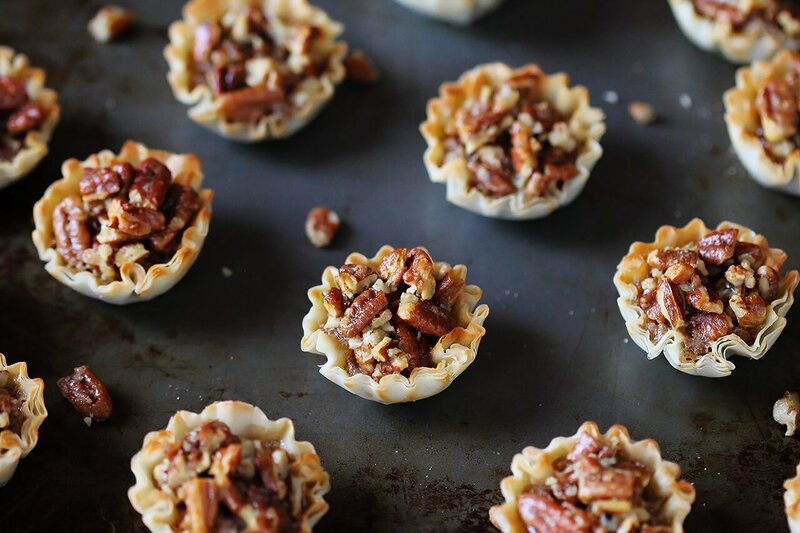 So if you’re looking for a delicious pecan pie tart recipe this holiday, I vote these easy mini phyllo pecan tarts for the win! 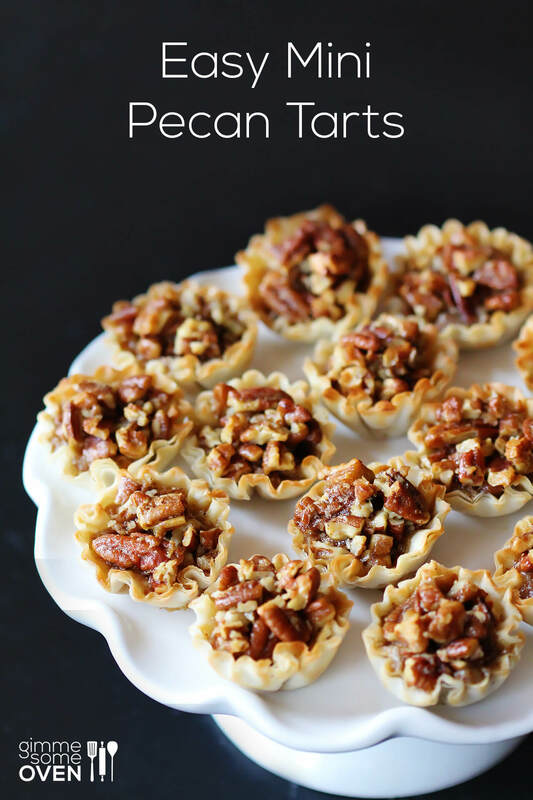 These mini tarts are made easy with phyllo shells and a delicious pecan filling! In a medium mixing bowl, whisk together all ingredients except pecans. Mix well. Add in chopped pecans, and stir until combined. Arrange mini shells on a baking sheet. Fill mini shells with one rounded teaspoon of pecan mixture. Bake in a preheated 350°F oven for 10-15 minutes. Let cool before serving.